An O.A.T. (Organic Acid Technology) antifreeze which is nitrite, amine, phosphate, borax and silicate free. 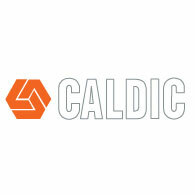 Calfrost is a high specification engine coolant offering exceptionally long life and hence reduces maintenance costs. It is suitable for use with hard water. When used at 50% it will provide long term protection against freezing and is fully anti corrosion inhibited to protect all metal and flexible hose materials used in a modern engine. Calfrost is suitable all cooling systems including Euro 111, 1V and V engines.